A slab of chocolate covered in more chocolate and splintered into pieces for everyone to share? Sign me up, Easter Bunny! Chocolate bark always makes a popular share plate and when it’s chocolate covered in chocolate, there really isn’t anything not to love. 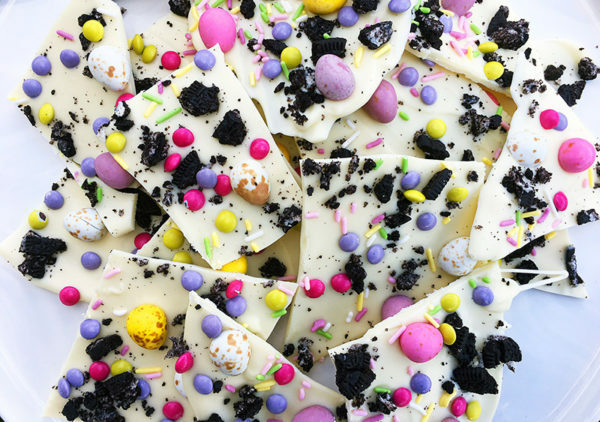 With no baking involved, creating Easter bark is as easy as Easter Sunday morning itself. 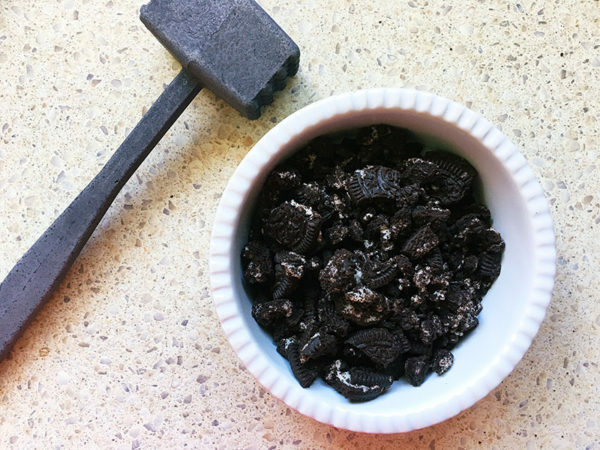 Crush the Oreo biscuits to resemble large cookie crumbs. 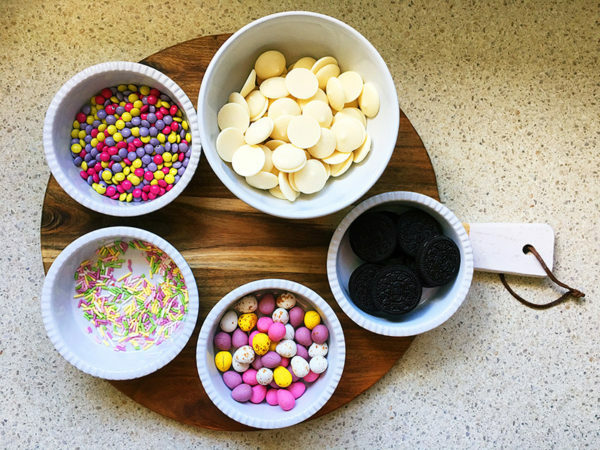 Have your toppings ready to go and within arm’s reach – you won’t have time to spare before the chocolate starts to set in the next steps! Reserve two tablespoons of chocolate melts and put the remaining chocolate melts in a heat proof bowl. Microwave on high setting for one minute. 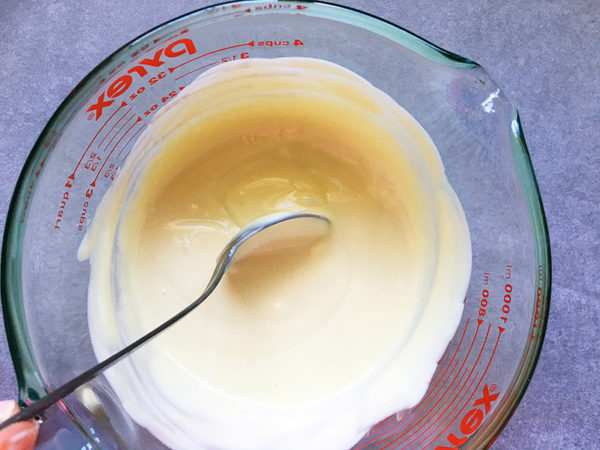 Stir with a metal spoon and melt for a further 30 seconds. Repeat until smooth. 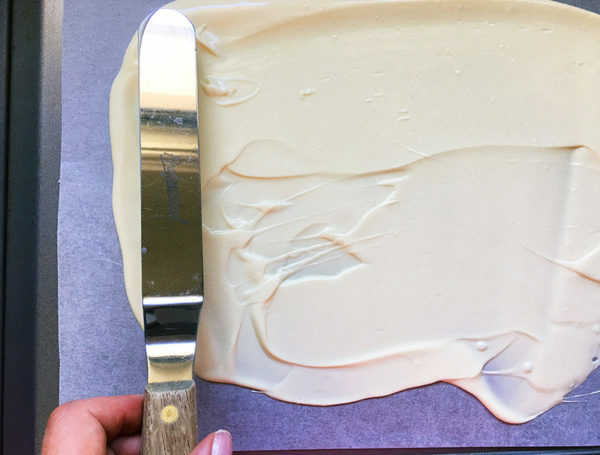 Pour the melted chocolate on to the prepared tray and spread out with a spatula to around 3mm thick. 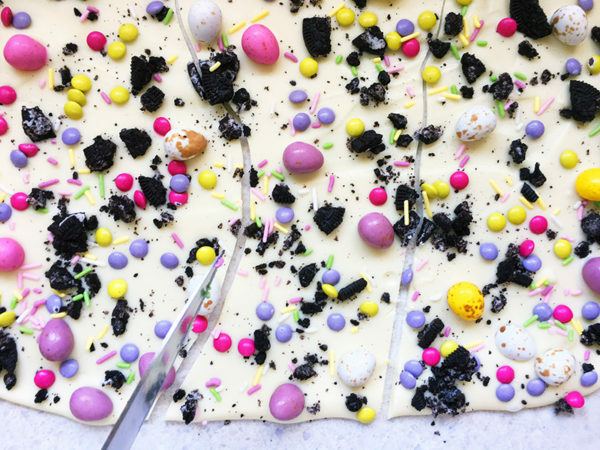 Working quickly, scatter Easter eggs, mini buttons, sprinkles and cookie crumbs over the top of the chocolate. Put in the fridge to set for at least 30 minutes. Using a sharp knife, cut through the chocolate slab – it’ll naturally split and splinter and you can gauge the size of your pieces from that. 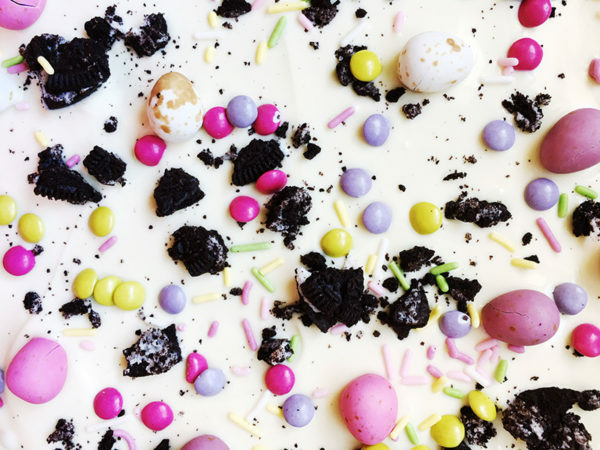 Now all that is left to do is stack the bark on a plate, admire your Easter art and make yourself a cuppa – you’re done!